The Kitchen & Bath Gallery, Inc. specializes in the design and installation of custom cabinetry for any room. Since our beginning in 1991, we have expanded our business to offer whole house remodels and room additions. Remodel projects include custom designs and floor plans. Our new showroom features the products we offer, so come by and see what we can do for you. 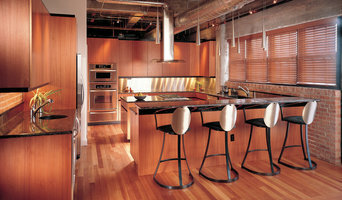 A full service custom kitchen and bath design studio with over 25 years of Design experience. We feature Crystal Cabinetry along with a large selection of counters, tiles, and surface hardware selections to compliment any project. Kitchens Wow is a member of the NKBA and Better Business Bureau. We are proud to serve the Greater Wichita Area but have designed homes across the United States. Our focus is on designing rooms in your home with characteristics that describe you. Kitchens and baths are our specialty but we can create a design for any room in your home. Our goal is to give you a design that compliments your lifestyle and interests. We welcome you to visit our showroom for information on how to start your Design Project. As Newton's locally owned and operated interior design studio, we at Living Rooms by Gayle focus on offering premium home design products in the latest styles with the personal service you expect from a community business. Bartel Kitchen & Bath specializes in the design and installation of kitchens, bathrooms, offices, entertainment centers, and more. Being family owned and operated for over 39 years gives us the unique opportunity to have a very personal relationship with each customer, and it enables us to artistically create every piece to each individual's needs. You are invited to come see our showrooms to witness our quality workmanship first hand. We would love to start on your dream project today. Erin Welner Interiors LLC is a full service interior design company serving Wichita KS and surrounding areas since 2014. Creating beautiful, functional spaces designed specifically to each client's lifestyle. I have grown up in the interior design business and have been practicing professionally for over 20 years. I have seen trends come and go. I don't necessarily believe in following the latest trends. I believe in creating timeless, tasteful, comfortable spaces that meet my client's specific needs and desires. I take pride in the quality of work my team and I provide. I look forward to connecting with you on your project(s). I am available hourly or by quote of a project. Star wants to be your remodeling partner. No matter the project - new flooring, replacement windows, a fence or a deck, a new exterior for your home - you will find a professional at Star that specializes in that area. Star's ongoing education programs mean our sales professionals are well versed in the newest innovations and products in their specific area. Star carries the very highest quality of materials. Like one customer told us, "Star has good wood!". Our lumber is quality lumber that is straight, strong and will last. Star carries the most respected national brands because we know they provide the quality and warranties that our customers expect - brands like Andersen windows, James Hardie siding, Stainmaster carpet, just to mention a few. Often finding a reliable contractor is a challenge. Not when you come to Star. The installation on all of our products is done by the best contractors in the area. You get not only the product warranty and the installer's warranty but Star's 75-year reputation standing behind every product and every installation. Last, but certainly not least, Star is a Wichita company. None of the money goes to a corporate headquarters in another part of the country. For 75 years, the Goebel Family Star Lumber Charitable Fund has supported and continues to support hundreds of local organizations that make life better for our fellow citizens and our community. Why Star? Quality materials, trained professionals, national brands, guaranteed installation. Star Delivers confidence - in our products and in our people. For 75 years Star has been building better homes, better communities and better lives. 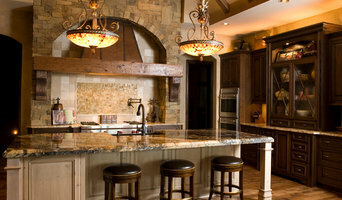 Kitchens Plus, Inc. began in 1988 and has become one of the most sought after design firms in Wichita, Kansas. You will feel at ease when you visit our beautiful showroom and speak to one of our highly qualified design professionals. We have extensive design experience that will be a huge benefit as you plan and execute your remodel or new construction project. We are a service oriented design firm that pays particular attention to the details. We focus on both remodeling and new construction projects. We want to make sure that your project is enjoyable and a success. It is our goal to not only have an outstanding project in the end, but to make sure that the process goes smoothly for you. Our high quality products create value when used in your projects. We offer products in cabinetry, countertops, tile, fixtures, flooring and so much more to complete your project from start to finish. We feature many of these fine products in our showroom. We encourage you to visit us and ask us any questions that you may have. Our Mission is providing quality products with uncompromising service. We take this to heart on each and every project. We want you to value us just as much as we value our customers. Authorized KitchenCraft & Omega Cabinetry Dealer We are also an authorized dealer for Miele, Sub Zero/Wolf and La Cornue appliances. For more than 60 years, The Kitchen Place has placed great emphasis on long-standing relationships. Our own longevity in the community reflects a rich history of satisfied clients and close relationships with manufacturers who give us the flexibility to tailor each design to our client's needs. We set our main focus on supporting your family's lifestyle, creating a space that welcomes you. Innovative design, the utmost care and professionalism, and an understanding of the importance of listening and problem solving allow us to transform your vision into a place you’ll love to be. And while kitchens are a significant part of what we are known for - our portfolio has grown to include virtually every room of the home. From outdoor kitchens to libraries to living rooms and bathrooms, our passion for design and appreciation for the little details that make a project “you” are part of what make The Kitchen Place the ideal choice for your project. 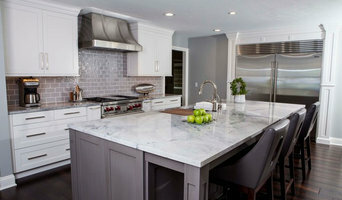 Kitchen and Bath Design and Remodeling Firm specializing in custom design for your unique home. We provide turnkey design and installation of your entire project. ¿Qué hace un experto en reformas de cocinas y baños de Wichita, KS? Es un tipo de contratista que se ha especializado en renovar la estructura de un espacio ya existente, en vez de en construir algo desde cero. Esto hace que reformar la cocina o reformar el baño sean trabajos algo más delicados, pues partir del trabajo que ha hecho otra persona anteriormente no te da la misma libertad que un folio en blanco. Este profesional traslada lo que hay en el plano arquitectónico a la realidad y, además, algunos expertos en reformas de cocinas y baños en Wichita, KS te podrán dar también asistencia en cuanto a temas de diseño. Tal y como haría un contratista general, este profesional es el responsable de subcontratar y supervisar a los demás expertos involucrados en el proyecto de tu cocina nueva o baño. También de proporcionar los materiales necesarios. Del mismo modo, deberá conocer aspectos legales que puedan ser condicionantes en la obra en Wichita, KS y las últimas tendencias. ¿Cómo puedes explicar tu proyecto a un diseñador de cocinas o a un diseñador de baños de Wichita, KS? En este caso las fotos también serán muy útiles para el diseñador de baños en Wichita, KS. Además, es importante tener en cuenta si el baño lo usarán principalmente adultos, niños o si será para toda la familia. Por ejemplo, si ya no tienes niños en casa, es posible que te merezca la pena cambiar la bañera por una ducha, pues entrar y salir de ella será mucho más sencillo. Y eso, con el paso de los años, lo agradecerás. En el diseño de baños también hay que pensar si se quiere ampliar la funcionalidad del mismo con algún otro aparato. ¿Quizá una bañera de hidromasaje? Decántate por un estilo de baño concreto: baños modernos, baños contemporáneos, baños clásicos, y ten en cuenta que diseño te gustaría y que materiales te gustaría emplear: qué tipo de suelos, azulejos, encimeras, lavabos, inodoros, mamparas.. quizás te gustaría incorporar piedra natural, gres o azulejo metro. Elige uno de entre todos nuestros diseñadores de baños y da con el baño perfecto para ti y tu familia. ¿Es realmente necesario un montador de cocinas y/o baños en Wichita, KS? Encuentra expertos en reformas de cocinas y baños en Wichita, KS en Houzz. Mejora los resultados de la búsqueda en la sección “Profesionales” incluyendo el nombre de tu ciudad o comunidad autónoma. También puedes consultar las fotos de proyectos de los profesionales de Wichita, KS para encontrar expertos que hayan trabajado en proyectos similares al tuyo. Puedes solicitar presupuesto directamente al hacer clic en uno de los servicios que proporcionan las empresas de instalación y reformas de cocinas y baños de tu zona en la parte superior de esta página.